Tonight, the Wicked Lit Halloween Theatre Festival returns to the Mountain View Mausoleum and Cemetery for another October season of immersive theatre. Rather like TAMARA, the play staged in Hollywood's American Legion Hall back in the 1980s, Wicked Lit takes place in an actual location, requiring audiences to follow characters from scene to scene. 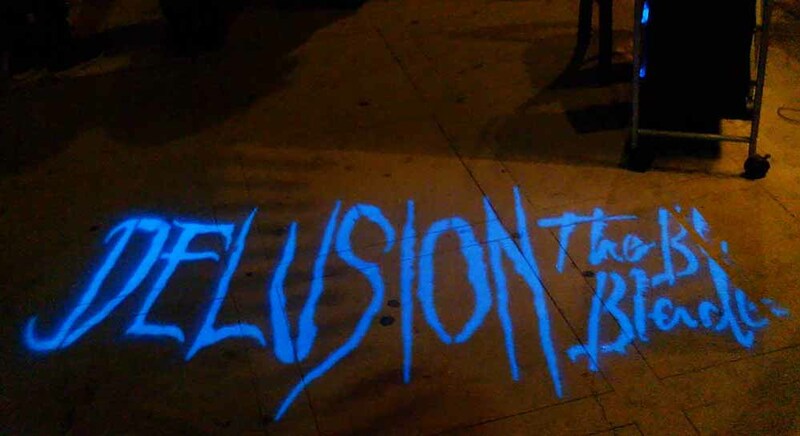 For 2011, this most unusual of Los Angeles Halloween events offers two sets of creepy classic literature adapted for live performance. Production A, which begins this evening and runs through November 1, recreates last years trio of terror: “The Cask of Amontillado” by Edgar Alan Poe, “The Unnamable” by H.P. Lovecraft, and “The Chimes” by Charles Dickens. Production B, which also runs through November 1, offers three new ghastly pieces: “The Body Snatcher” by Robert Louis Stevenson, “Casting the Runes” by M.R. James, and “A Ghost Story” by Mark Twain. 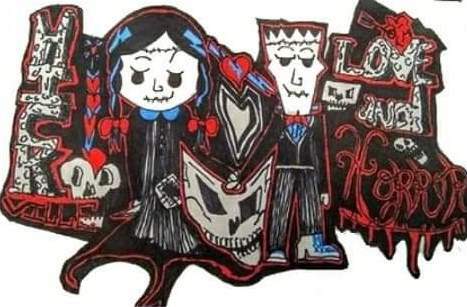 Wicked Lit is a sort of seasonal brand name for the Halloween horror plays staged by Unbound Productions, whose mission is to create new adaptations of classic literature and stage them in alternative venues. Since 2008, Wicked Lit has presented dozens of readings at schools, libraries, and other locations around Southern California. Their debut Halloween production took place at the Greystone Mansion in Beverly Hills, in 2009. Last year saw a move to the Mountain View Mausoleum and Cemetery; audience reaction was so positive, that a decision was made to return this year. 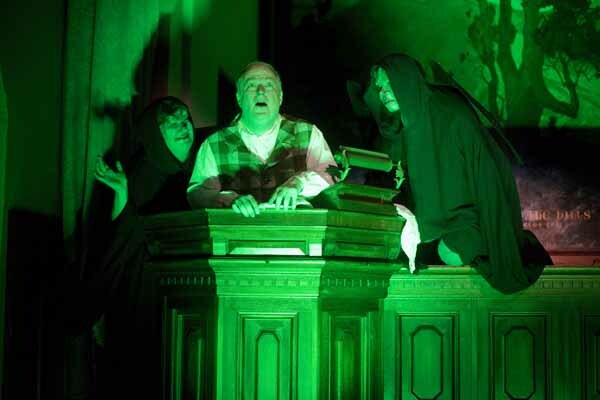 Recently, Hollywood Gothique spoke with withPaul Millet, the co-artistic director of Unbound Productions (along with Jonathan Josephson and Jeff G. Rack), who explained how Wicked Lit differs from other Halloween haunts and what's so great about performing a play in a mausoleum. HOLLYWOOD GOTHIQUE: Wicked Lit is presented during October, so in a sense you are competing with major Halloween attractions such as the Knotts Berry Farm Halloween Haunt and Halloween Horror Nights at Universal Studios Hollywood. Does your audience overlap with those events, or are you drawing a different crowd? PAUL MILLET: It’s a good question. What we offer with Wicked Lit is a different experience. This is our fourth year, and we’re starting to get a handle on our audience. Our audience is not the traditional theatre-going audience, although we do have a number of theatre-goers who come. We do notice that the people who come to see Wicked Lit are people looking for something different, something unique, something fun to do. When I say “something unique,” you have a number of theme parks with their activities. Wicked Lit is not that. It’s not about having people jump out at you and say boo. It’s about creating a theatrical event that hopefully gets under your skin. There are scares in the show, but the terror comes from within the story – and how that story comes to life in front of the audience. That’s why Wicked Lit is unique, if you will. HOLLYWOOD GOTHIQUE: You seem to have found a perfect location for what you do, judging from the look we got of the mausoleum during the October Shadows Halloween art exhibition. PAUL MILLET: We’re very fortunate that we’re at the Mountain View Mausoleum. They’re tremendous, and we love being there. HOLLYWOOD GOTHIQUE: But as great as the atmosphere of the place is, it comes with some restrictions. You cannot, for example, move walls or redesign the space. More important, you couldn't stage a scene in which someone pries open one of the vaults with a pick ax. PAUL MILLET: That’s true. You can’t go around and destroy the property. But being on the property allows you to create an immersive experience. 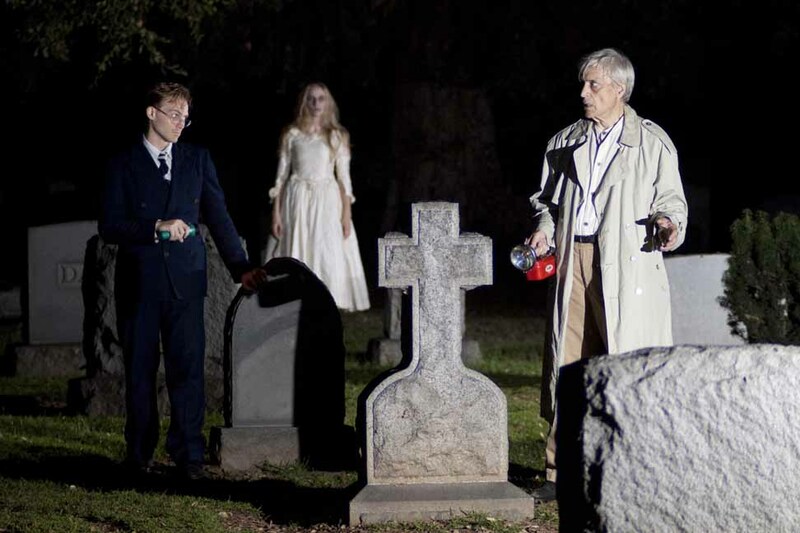 One of the shows in Production A is an adaptation of H. P. Lovecraft’s “The Unnamable.” The whole story is set in a cemetery, and the play has been adapted in a cemetery, so as an audience, you’re in a cemetery. There’s no fooling. It’s not a set, not a theatre; you’re actually in a cemetery, and it’s night and it’s dark, and things are happening all around you. It does offer that immersive experience when you are in these locations. For “The Chimes,” which is set in a chapel, that whole play is set in the chapel of the mausoleum. So you are inside a place of worship for that story. That’s one of the advantages of working within an alternative venue – to place your audience in an environment that they would not get in a theatrical setting. HOLLYWOOD GOTHIQUE: A play such as "The Unnamable" requires the audience to follow the action, but the chapel at Mountain View Mausoleum offers a setting more akin to a theatre, in the sense that the audience can sit down and watch the action, rather than standing around in a cemetery. PAUL MILLET: Yes, the pews are like seats, but things are happening all around you. We generally have a mixture of stories and stagings that require movement. “The Chimes” is set within the chapel, so once you reach the chapel, you’re in that location for the duration of that story. But in “The Unnamable” you are walking from location to location, among the headstones and the trees. “The Cask of Amontillado,” also from Production A, is staged in the corridors of the mausoleum, so you are walking amongst the corridors. There is walking involved, both within the show and getting to the show. HOLLYWOOD GOTHIQUE: We understand that the audience meets at a central location. Then a "Story Guide" takes them to the setting of each play. PAUL MILLET: The story guides are set up to lead the audience. Each individual play has its own story guide. He or she is a representative of that story and that era. They’re there to guide the audience. They help direct the audience as to where their attention should be. They’re not just people saying “Hi, my name is Bill.” They are characters. When they address the audience, they are in character. They have a back story; they have a history related to the story. It’s all done in character so the audience is constantly engaged. HOLLYWOOD GOTHIQUE: So Wicked Lit is not just immersive. There is also some element of interactivity. PAUL MILLET: There is some interactivity with the story guides, because they are the liaisons between the audience and the story. The shows themselves, once you’re immersed in the story, you’re not interacting with those cast members. HOLLYWOOD GOTHIQUE: Have you learned anything over the years about exploiting the immersive quality of the show? PAUL MILLET: That’s a good question. We’re always looking for ways to make the experience more dynamic. Having the right venue is crucial, so you can have that immersive experience. We’re always looking for ways to improve it. Every year, our story guides are a little more interesting; we’re looking for ways that the audience is engaged at the top of the show. There has been an evolution. There’s always room for improvement. HOLLYWOOD GOTHIQUE: For 2011, you retained last year's plays and added three new ones. How did that come about? PAUL MILLET: All three plays were very well received and we sold out the production. We actually had to turn people away at the end. It was very successful. Shortly after, we sent out a survey. One of the questions was, "Would you come back if we presented those plays in the mausoleum again?" The response was 80% positive. Another question was, "Would you come back if we presented new plays in the mausoleum?" The response was 90% positive. So here we are. HOLLYWOOD GOTHIQUE: So what would you say to some Halloween horror fan, who has been to Knotts Scary Farm and/or the Queen Mary Dark Harbor, and is wondering, "Should I check out this Wicked Lit thing?" PAUL MILLET: Wicked Lit is something unique. In a theme park, you know something will be jumping out at you. There is an element of fun, but you know what you’re in for. Wicked Lit isn’t like anything else you’re going to experience theatrically. Every year is something different. If people are into that, they should see Wicket Lit. Wicked Lit runs October 21 through November 6 at the Mountain View Mausoleum and Cemetery, 2300 N. Marengo Avenue, Altadena, California. All performances begin promptly at 8:00 p.m. Tickets range from $39-60. For more information call 818-242-7910, or visit their website: www.wickedlit.com. 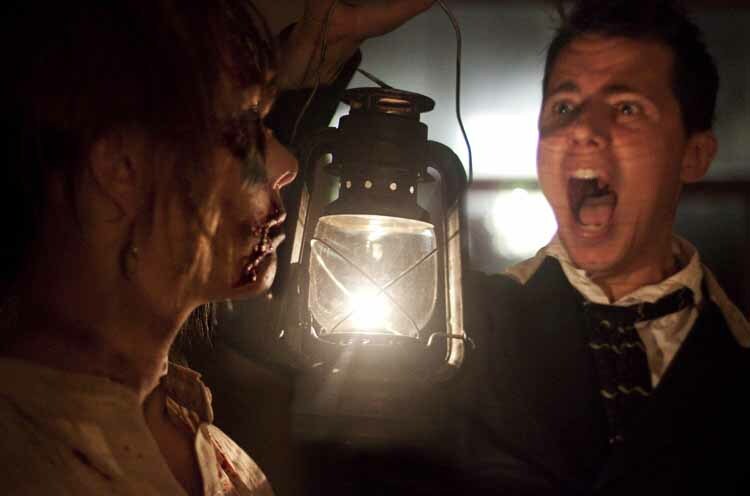 Beat Post-Halloween Blues with Wicked Lit's Immersive Theatrical Horror Shows - at Discount Prices! October 23, 2018 Steve Biodrowski, Administrator Comments Off on Delusion extended!